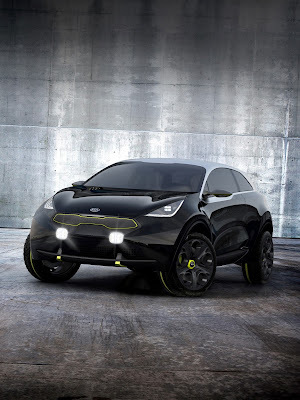 Kia’s Niro urban lifestyle concept vehicle, unveiled last September at the Frankfurt Motor Show, made its US debut at the 2014 Chicago Auto Show. 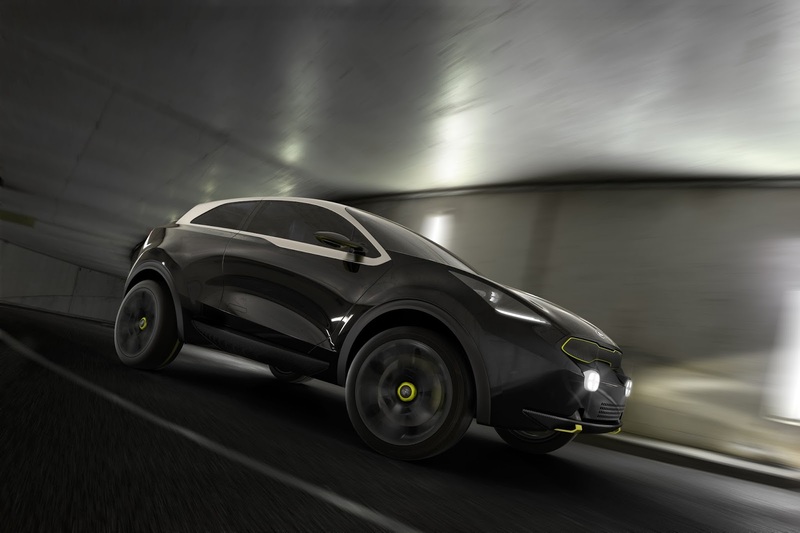 The Niro suggests a possible future B-segment contender, and features a hybrid electric powertrain working through an advanced four-wheel drive system. The concept is powered by a variant of Kia’s turbocharged 1.6-liter Gamma engine, capable of 160 hp (119 kW). The engine and a seven-speed, dual-clutch transmission serve the front wheels while an electric hybrid system powered by regenerative braking delivers up to 45 hp (34 kW) to the rear wheels when road conditions require extra grip. 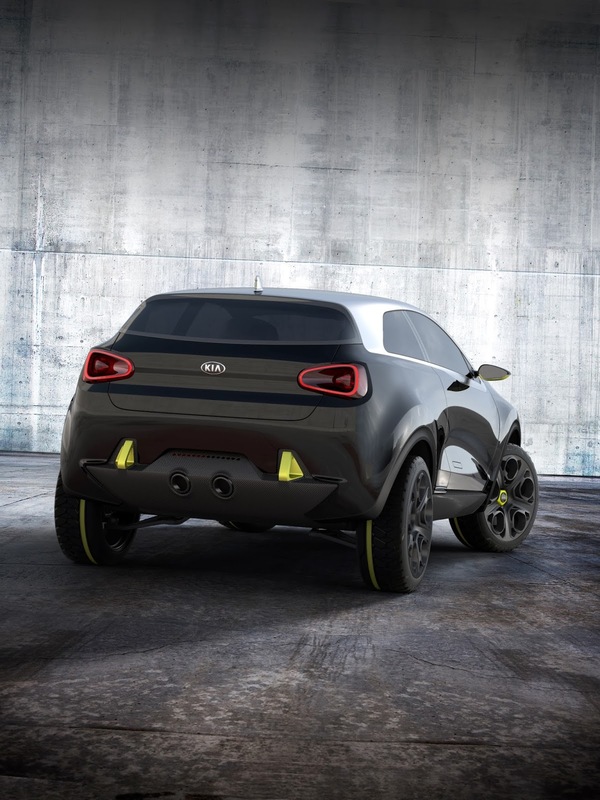 Although Niro presents a sturdy and muscular outline, it has relatively compact dimensions on its all-new B-segment platform. Its 164.8-inch overall length, 72.8-inch width and 61.3-inch height place it firmly in the city car bracket. Entry into the vehicle is by way of dihedral “butterfly” doors with flush door handles, that swing up high into the roof. Mounted directly onto the side windows are milled Plexiglas door mirrors with built-in cameras.